This species is accepted, and its native range is S. Peninsula Thailand to N. Sumatera. Kedah, Perak, Kelantan, Trengganu, Pahang, Selangor, Negri Sembilan, Johore: Endemic. Solitary acaulescent or short stemmed palm, hardly climbing rarely more than 2 m tall. Stem without sheaths to about 4.5 cm in diameter with internodes 2-3 cm long. Stem with sheaths up to 6 cm in diameter. 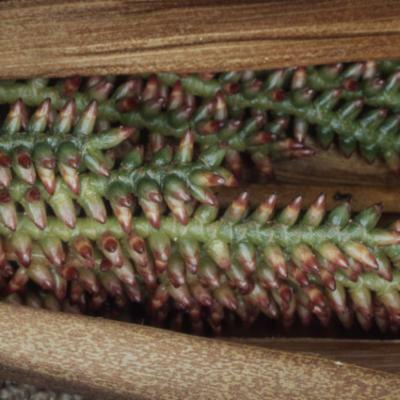 Sheaths dull green, densely covered in paler green spines of varying length, usually up to 4 cm long but much longer round the leaf sheath mouth where up to 20 cm long and upward pointing; sheath also densely covered with brownish scales between the spines; knee absent; spines usually sparser just below petiole. Ocrea ill-defined. Leaf ecirrate to 3 m long. Petiole 60-100 cm long armed with robust lateral spines to 4 cm long and scattered smaller spines on upper and lower surfaces. Leaflets 20-30 on each side of rachis, rather distant, broad and rather conspicuously plicate, to 50 cm long by 5 cm wide in mid-section of leaf, decreasing above, the uppermost pair about 15 cm long by 2 cm wide, markedly diverging. 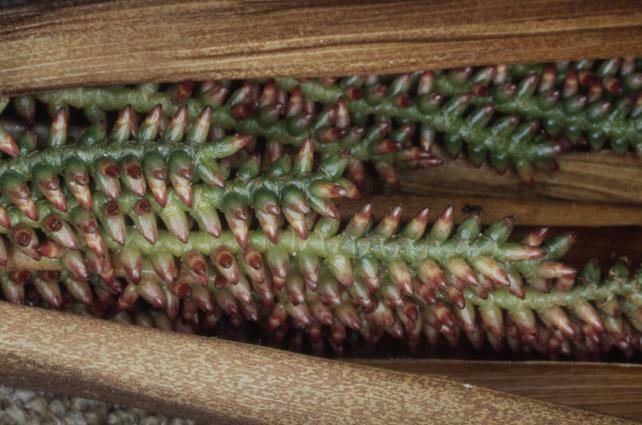 Inflorescence without flagellum, confusingly variable; peduncle often to 60 cm or more in length; in both male and female primary bracts exceeding and partly enclosing the whole inflorescence, bright mid-brown in colour armed with spines at the base only, densely scaly outside, shiny darker brown inside. Flowers small and densely crowded. Sometimes inflorescence very short, not more than 20 cm long including peduncle. 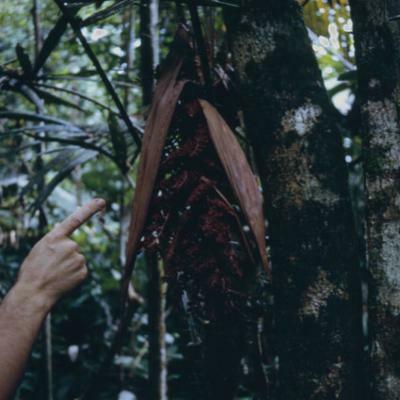 Mature fruit rounded relatively small, to 8 mm diameter covered in 15-18 vertical rows of bright red-brown scales. Seed round with thin sweet sarcotesta; endosperm homogeneous. 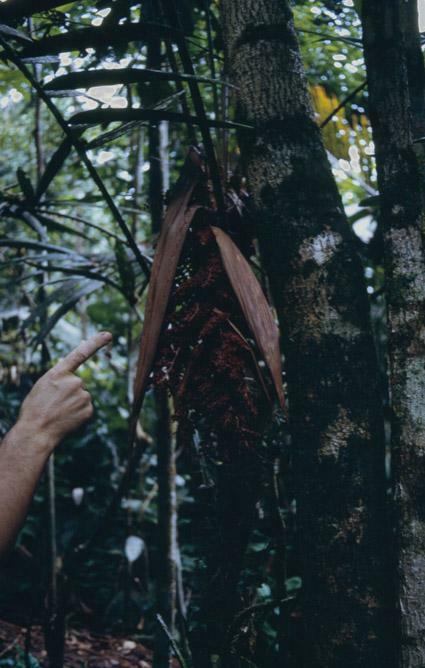 Seedling leaf bifid, with noticeably divergent leaflets. Stem rarely used in making walking sticks.